What are the Loads Acting on Marine Concrete Structure? Concrete has wide variation of use as construction materials, as its behavior can be modified as per design consideration. Concrete can be said ideal material for marine structures where any marine environments like submerged, complete and partial exposure, tropical, temperate and arctic may exist. Marine structures in ocean, coastal or harbor can be constructed economically with concrete offering expected strength and durability. At first let us discuss about floating concrete structure; the structure that are considered as floating, the dead weight of it is approximately compensated by the buoyancy. When a structure is submerged in sea water it is subjected to continuous hydrostatic pressure. These hydrostatic pressure definitely exerts loads on structure additionally it force water to penetrate into the concrete through Through any weak point, if any. 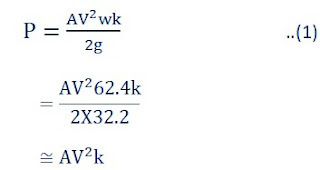 Microcracking in concrete is very common; though durability is not concern of this post, the weight of concrete will be increased with this penetration leading an increase in density by 2% upon absorption, which may increase the net buoyant weight up to 40 to 50 percent. Moving debris and ice may produce impact loads directly on concrete structures. These materials may accumulate on structure and increase effective area, thus exert additional load. When ice is accumulated as solid sheet, it will fail by crushing. In this case ice breakers should be installed to pile up ices until it fails in tension. Debris is that mass that can float in flow path with an inundation depth Which cannot withstand water flow. When debris are carried with tsunami wave, they may be trees, cars, wooden poles used for utility supply, complete or fraction of timber framed houses. Sometimes some debris that don’t float may transported by wave when they are very strong like pieces of concrete and boulders. In normal case, debris are bottles, waste of ships, cans, fishing equipment, automobile tires, nets and abandoned fishing line. Debris and ice cakes often become wedge within adjacent piles which exerts torsion and may lead to break of piles. An example may be included here, broke down of better piles adjacent to piles where large mass of ice were accumulated; during spring the mass was thawed and at low tide it slide down to exert load to that piles. Break water may be also effected by formation of ice cakes resulting wedging units apart from each other and during high tide they are lifted up. It seems that the loading of debris and ice is same on different structural type like concrete, steel and timber, but the consequences of it are significantly different, as it depends on physical and structural characteristics in many cases. A concrete pile may be more susceptible to failure under impact and its resultant torsion whereas reinforced concrete sea walls or caissons often have more resistance as they possess local rigidity, mass and to some extent have ductility at low temperature. When water is allowed to enter inside concrete structure and get frozen it will exerts a bursting pressure. If a pile or caisson have hollow-core, must have means to impede freezing like providing Styrofoam or wood log to float side and/or provision to connect with unfrozen water beneath surface like vents. If such precaution is not taken serious bursting and subsequent failure may occur. Movement of the sea water produces different types of loads on the concrete structure which are required to evaluate overall stability of marine structure. Speed of current in ocean usually run from 0.5 nautical miles per hour (knot) which attain maximum value of about 2 knots. In restricted channel or narrow inlets, even higher velocity may occur. In contrast to conventional belief, in some location it is often found that current in ocean may be almost same at bottom as that in surface. In case of estuaries where salt water meet with fresh water, salt water flooding at the bottom is observed while the surface zone is still ebbing. Prolonged winds in same course can generate strong currents in open sea. In some region the current may rotate during alternate folding and ebbing. 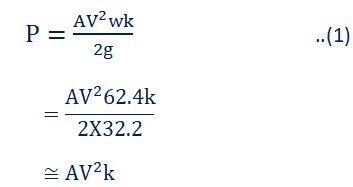 Current loading found from equation (2) is 50% more than that derived from equation (1). Observations on actual structure showed that the actual forces are nearer to force found from equation (2). We know current produces pressure on the concrete structure. It often results an eddy action when they flow over the top surface which will exert force having tendency to lift the structure that remain on the bottom. On the contrary to that, when a structure hangs just above the bottom, there a pulling down tendency of current resulting to increase in the effective weight of the structure. On a submerged structure, waves exerts cyclic and dynamic loading. The waves indeed may break on the surface with enormous energy. It has been measured that the stress induced by local impact may be as large as 3 Tons/Sq. ft. For a complete submerged structure, during the wave cycle a dynamic uplift forces may occurred; It is fortunate that these forces are not usually coupled with maximum lateral forces. When differential pressure exists on the either side of any bottom supported marine structure, tunneling underneath may occur which is followed by serious erosion in the bottom sediments. This can reach up to composite structure like back pressure, break water may disintegrate them into the individual components and left out them with an explosive force generated by hydraulic ramming. This phenomenon of conversion of wave force into kinetic energy can be used deliberately to dissipate and imbibe wave energy. This is done by providing holes in vertical walls of caissons of quay wall, offshore storage facility or breakwater to absorb fraction of the wave energy. When non-breaking waves are reflected from a marine structure may take form of standing waves just in front of structure. Under the crest of standing wave erosion may occur. If the term standing waves is new to you, we can include standing wave is often called stationary wave of which peak amplitude is constant in respect of time at any point in the space. The interesting thing is that there have oscillation in the wave but peak amplitude profile remain stationary in space. Regarding breaking waves, it can be included that in this type of wave, after reaching a certain level of amplitude, enormous amount of wave energy is transformed to turbulent kinetic energy. When surface waves reach to shore, they breaks down to from foamy, bubbly upper surface known as surf and the zone within which waves breaks are called surf zone. This zones are usually shallow normally lies between 5 to 10 m which makes the waves unstable. Surf may produce cavities in the surface of structures which may only be controlled by intensive care to obtain a dense, hard surface leaving no projection and fins. Special treatment to achieve this may be required in extreme environment. In recent design of marine structure special attention is provided to damage due to ship impact which was ignored in the past; satisfied by providing fendering system. Many people do not have idea about system; it is a system to absorb kinetic energy of the berthing vessel. The objective is to protect both infrastructure beyond fendering and the vessel to which fendering is attached. The infrastructure may be jetty or quay wall; fendering not only protect vessel from fixed facilities but also protect from neighbor vessels. • Berthing energy of a vessel defines dimension of the fendering units. A significant volume of gas and oil are now transported by shipping and near future this transportation is expected to be increased. A usual way to reduce cost of transportation is to use large vessels and new ports are constructing in new locations often situated in hostile environment seeking more attention to structural design as loads on marine structure and berthed vessel are increased. We are using conventional design approach for decades which considered marine vessels used from 1980 and requires to upgrade for current large vessels. Now-a-days this greater size vessels resulted greater risk of damage due to impact. 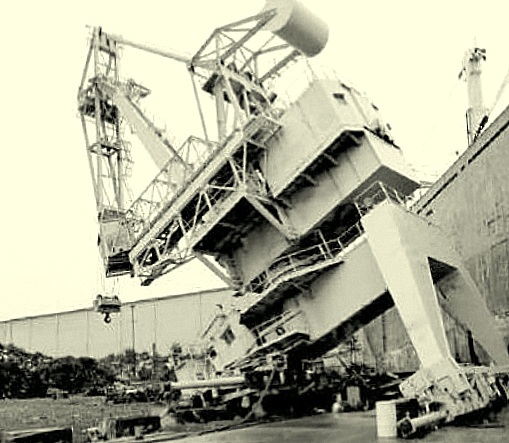 Thus in some important marine structures consideration from ship impact is essential to provide a way to imbibe energy and to minimize damage. The usual measure is to achieve diaphragm action by increasing mass, prestressing and well distribution of reinforcement. How are loads exerted on marine structure? The vessels approaching to a jetty is berthed as softly as possible. Even with utmost care it is inevitable to minimize load transferred to marine structure like dolphins or jetty. Unfortunately the force exerted by a hundred thousand DWT ship in this process is not small. After berthing is done and every mooring line is attached to dolphins certain other forces act on the fenders or dolphins or jetty and on the vessel. Dolphins are supported by several piles founded on riverbed or seabed leveled above water and connected to each other to establish a fixing point or a platform often constructed apart from shore. The purpose of dolphin is to facilitate dry access platform by providing a fixed structure. When it is not possible to extend shore, dolphin is introduced as an example when limited length of berth is not enough to accommodate larger number of ships. Mooring lines are cables used to secure a vessel at a berth. The arrangement of lines should kept symmetrical about midship point of the vessel to establish stability. Vessel loads are caused by the ambient weather like winds and currents which exert kinetic energy on fenders and subsequent transferring through mooring line and dolphin respectively. At the moment of contact between berthing structure and vessel, through fendering, the energy interaction generates reaction force until the vessel is completely anchored to rest. Kinetic energy of marine vessel together with motion of water followed by it, produces forces that are transferred to marine structure which is finally transferred to the subsoil through the pile. The way of distribution and to absorb this energy within the structure depends on structural stiffness and location of loads exerted. What are the assumptions in load calculation of ship impact on marine structure? Interesting thing is that when a marine vessel approaching to the berthing facility is decelerated from certain speed, a certain amount of water moving along with the vessel is also decelerated too. So the mass that are used to determine the kinetic energy not only sole mass of the vessel, but also an additional mass which is often called hydro dynamically added mass. How are the loads encountered in design? The usual case is to consider a constant mass of water or forces from other sources in addition to mass of vessel while designing marine structure. Thus additional massed are considered independent of all other factors controlling it.